Stac Polly - Achiltibuie - Overlooking the Summer Isles. Wester Ross. 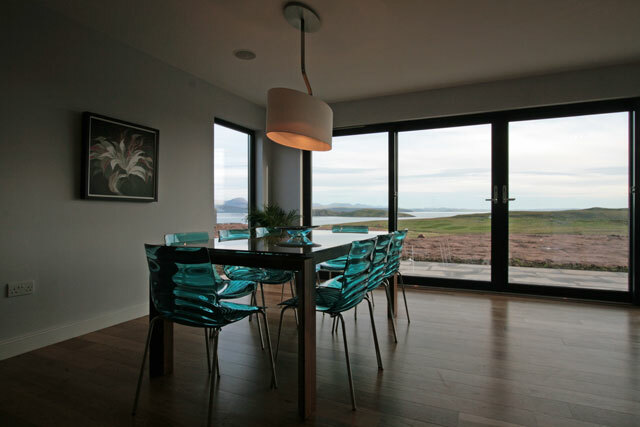 Stac Polly s a high quality luxury self catering property, situated on the Achiltibuie peninsula overlooking the Summer Isles, set within the Inverpolly Nature Reserve. 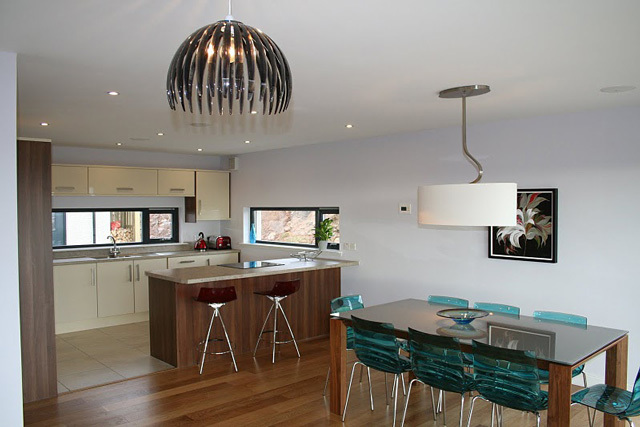 A large contemporary holiday cottage that has been designed with luxury and comfort in mind. 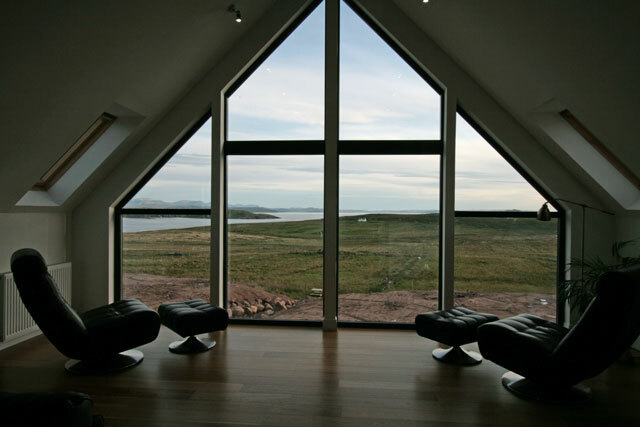 The views from Stac Polly are simply stunning and the beautiful cathedral window in the upstairs lounge allows you to make the most of them whatever the weather! 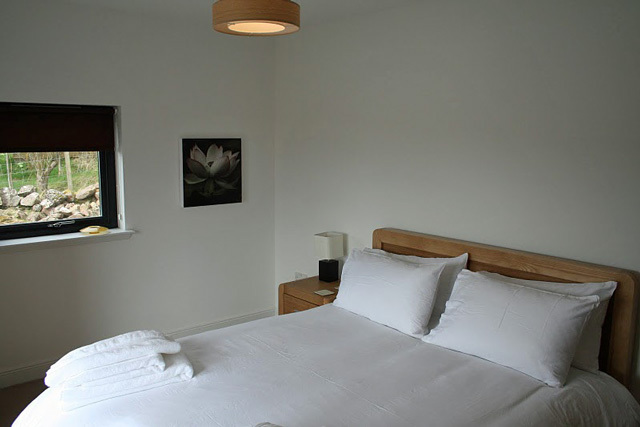 Three of the bedrooms are situated on the ground floor leaving the upstairs to the lounge, master bedroom and sauna. 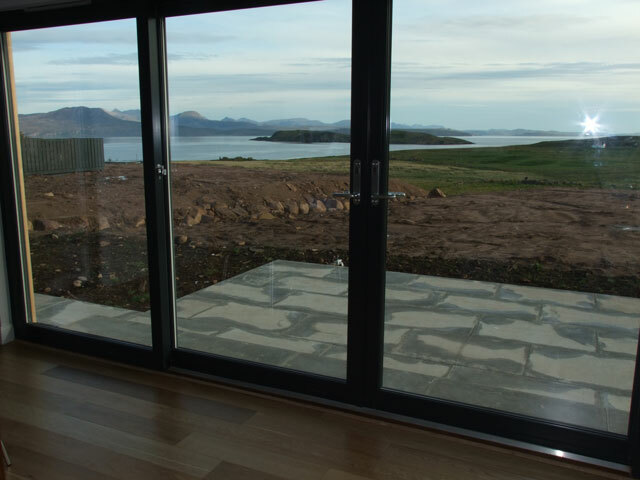 Outside the garden area has a patio and an amazing hot tub, with views to the Summer Isles. The ground floor consists of a large dining room with a panoramic window, which opens out onto the patio. 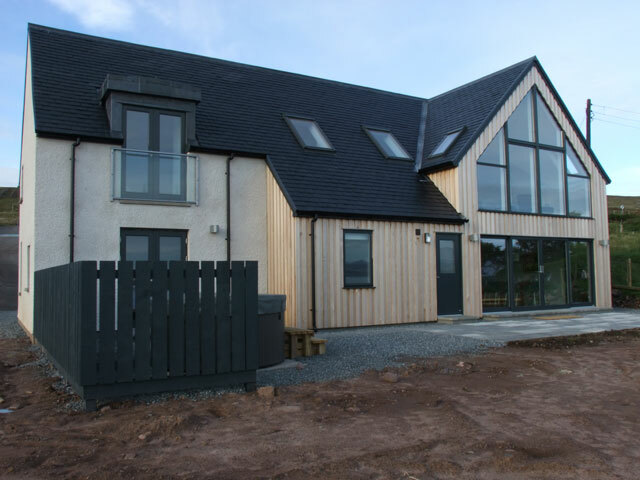 A fully equipped kitchen is provided, which includes a double oven, ceramic hob, fridge/freezer, dishwasher, microwave plus all the usual kitchen appliances with many extras. Separate utility room with washing machine and tumble drier. A snug is available for tucking yourself away for some quiet time. There are three fully carpeted bedrooms, one king size, one twin bedroom and one bunk bedroom, all the bedrooms have TV’s and DVD. 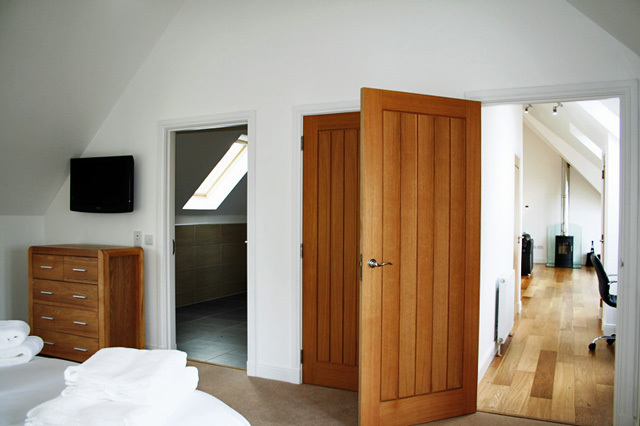 The king size bedroom has French doors leading onto the decking and the hot tub. 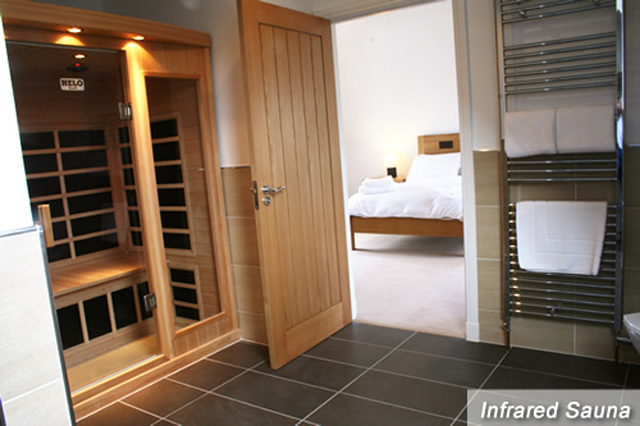 Large luxury bathroom with bath, separate shower, tiled floor with under floor heating. 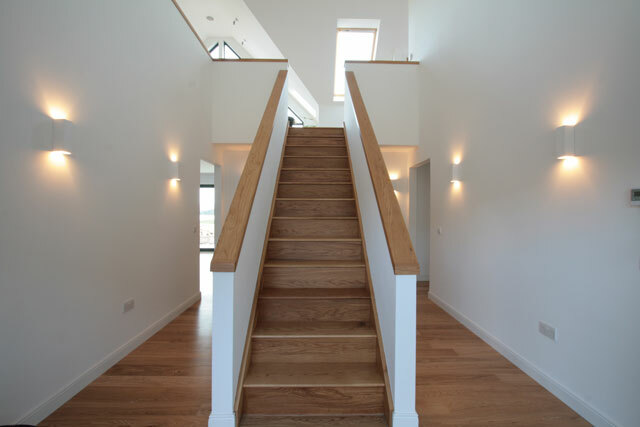 The ground floor has oak flooring with under floor heating in all the public areas. 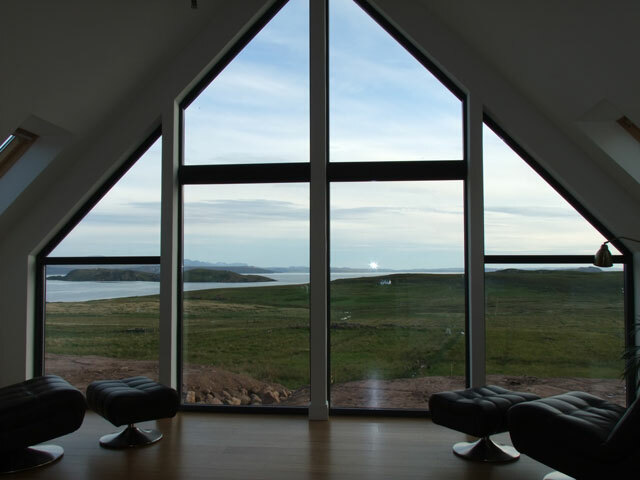 On the first floor you will find a large lounge with unspoilt views of the Summer Isles through the beautiful cathedral window, on a clear day you can see the Cuillin on the Isle of Skye. 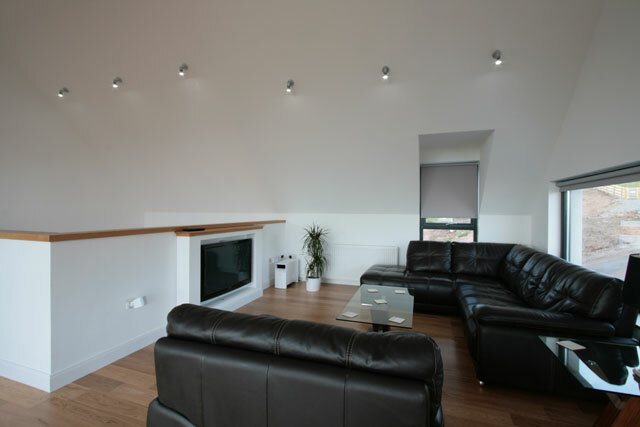 The lounge has a galleried ceiling and a wood burning stove. A large flat screen TV with surround sound and a home server, which provides movies in the lounge and music in other areas. DVD with BluRay, iPod dock and WiFi. A small office space is available, if you have to work! 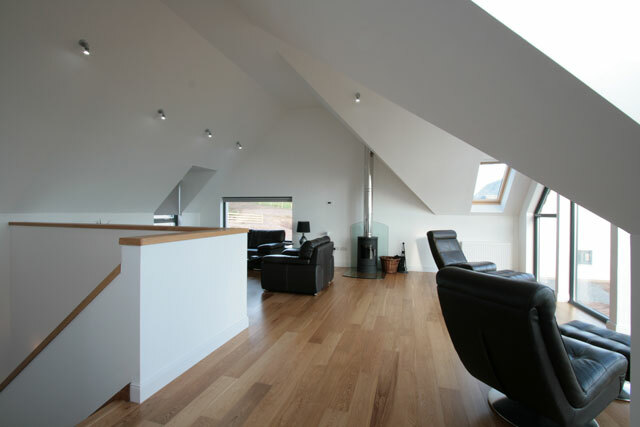 You will also find a generously sized master bedroom with luxury en-suite shower room and infared sauna on this floor. A separate toilet with wash hand basin completes the floor. Once again all the public areas are oak flooring and the bedrooms are fully carpeted. 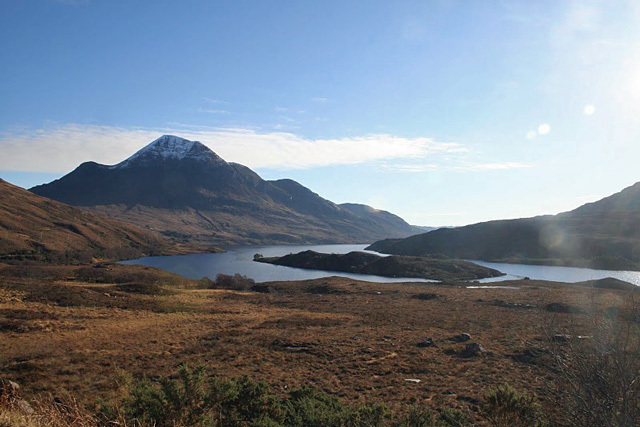 Achiltibuie on Scotland’s north-west coast is a place to unwind, relax and soak up the magnificent scenery. 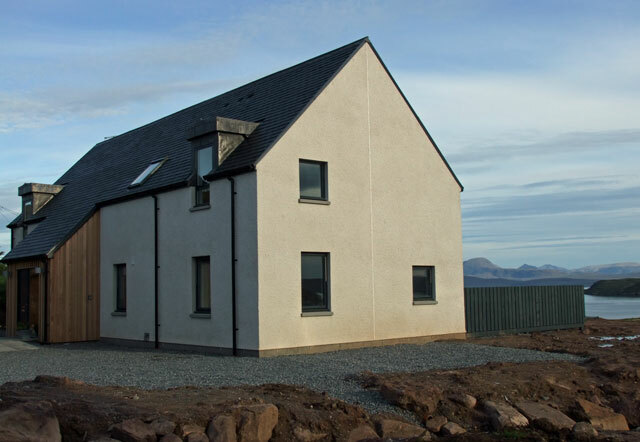 There is no urgency in anything that you do in Achiltibuie it is a place to unwind, relax and soak up the magnificent scenery. it’s all about relaxation and nature, the eagle souring high in the sky, catching a glimpse of the elusive otter or watching for whales. 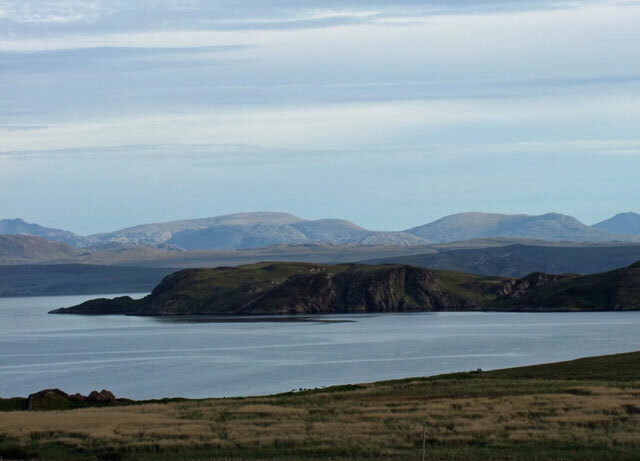 Try some fishing on the many lochs, or walking the mountains, strolling on the quiet beaches and just listening to the sound of the sea. 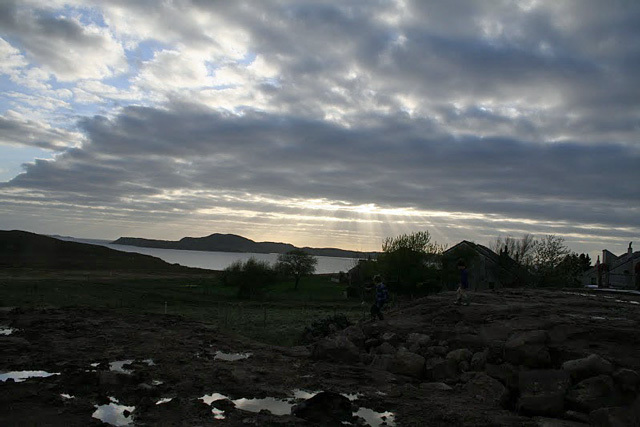 Achultibuie has a small shop and post office, café and of course the Summer Isles Hotel, with its restaurant and bar, the chef here has a michelin star. Whilst here you should visit the Hydroponicum and learn how to grow plants without soil!. 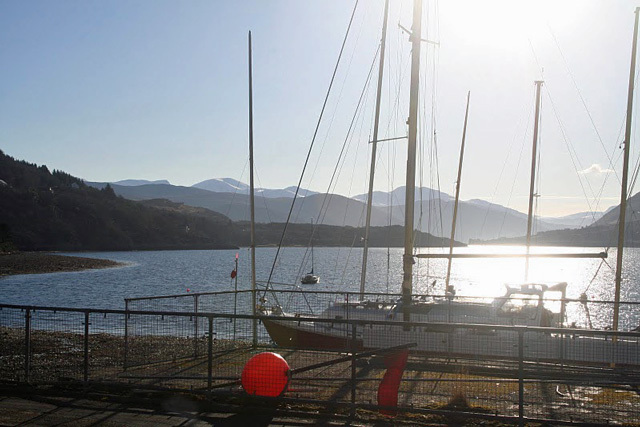 Ullapool is a busy tourist town and offers all the amenities one would need including a wide range of shops, supermarket, post office and petrol station. A selection of restaurants, cafes, bars, a leisure centre (swimming pool and fitness centre) and a Museum. The Cleidh Bar offers fine food at reasonable prices and for a cup of tea, visit Tea by the Sea on the harbour road. From the ferry terminal boat trips are available one of which takes you by the Summer Isles to see the bird and sea life. North of Achultibuie then one place you should visit is the incredible Sandwood Bay. It is only accessible by foot via a 4 mile walk, but the scenery and beach are quite magnificent, so well worth the effort. Lochinver a small fishing village north of Achiltibuie, is worth a visit, if only to visit The Lochinver Larder, they have the most delicious pies. The coastal route from Achilitbiue offers some stunning scenery. If you wish to travel further North then take the Assynt coastal route which takes you through Stoer and onto Scourie, a lovely drive. 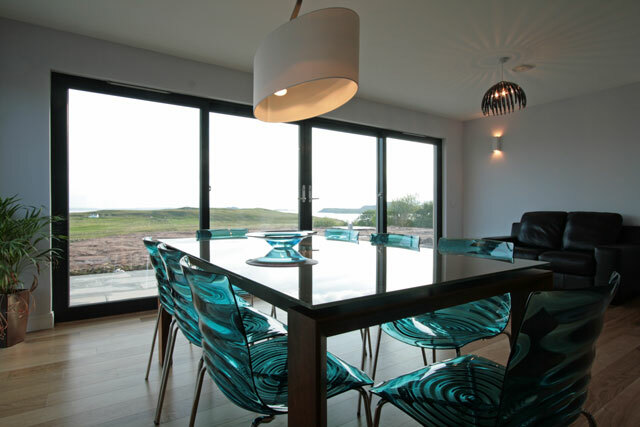 Large dining room with panoramic windows which open on to the patio. Fully equipped kitchen, electric double oven, ceramic hob, fridge/freezer, dishwasher, microwave, coffee machine, plus all the usual kitchen equipment. Twin bedroom, TV and DVD. A £200 good housekeeping deposit will be authorised at the time of booking. This deposit will cover the owner in the event of excessive cleaning or damage and your card will be charged for the amount of electricity and oil used during your stay. 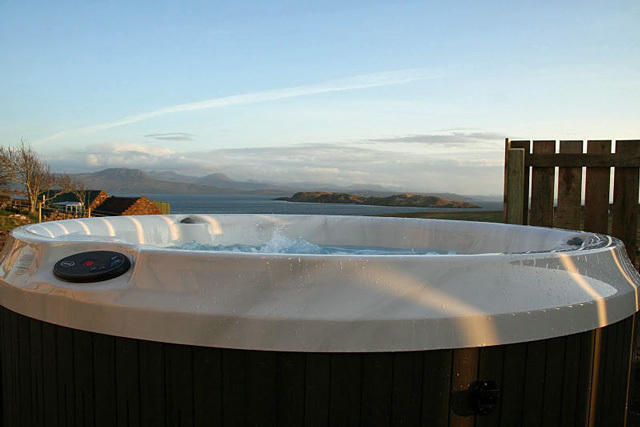 Hot tub - £60 per week. A disclaimer would have to be signed. Dogs welcome - £30 per pet per week. Kennels available.